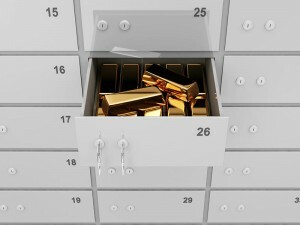 Safety deposit boxes have been around for a long time. They are usually found at banks or post offices. The purpose of a safety deposit box is to secure important documents and items. While a home safe can provide some security, one in a bank has additional security that your home does not. For example, if your home is destroyed by a natural disaster, you may be unable to access your home or the valuables may be burnt or washed away.